Formerly known as the TU/e Talent Scholarship Program. Each year a considerable number of scholarships are awarded by TU/e partnered by top international technology companies.Currently ASML, NXP, Océ, Philips and Bosch are all involved in the Amandus H. Lundqvist Scholarship Program (ALSP), named in honor of the former TU/e President. You automatically enter the selection for ALSP if you are admitted to a TU/e Master’s program having submitted your application before the scholarship deadline of February 1, 2013. The scholarships are allocated to selected excellent students on a first-come, first-serve basis. At the start of the scholarship period, TU/e will match your academic background and particular skills with the employer who will sponsor your scholarship. ALSP scholarship students launch their international career in technology and engineering at their sponsor employer once they have successfully completed their two-year TU/e Master’s program. 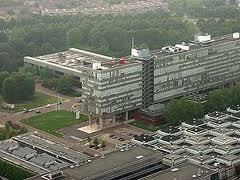 There are also possiblities to follow a PhD program at a Dutch university. A portion of ALSP scholarships are also sponsored by the university scholarship fund. Sumit a complete application to the TU/e Master’s program of your choice. Only complete applications, including the online application and all application documents, that arrive before February 1, 2013 will be eligible to enter the selection procedure for ALSP. If you are admitted to a TU/e Master’s program AND you have a cumulative grade point average (CGPA) of 80% or higher from an internationally renowned university, you will enter the selection procedure for the ALSP scholarships. You cannot apply directly to the ALSP scholarships. You must first apply for a TU/e Master’s program (see below). Your application to a TU/e Master’s program is also your application for an ALSP scholarship, unless you specify in your online application that you do not wish to be considered for an ALSP scholarship. Each TU/e Department nominates excellent students to the TU/e scholarship selection committee. The TU/e scholarship selection committee awards scholarships to the best, highly talented students. The award is based on the quality of previous education and the student’s academic performance therein. TU/e matches the academic background and particular skills of the student to the requirements of the organizations that fund the scholarships. The match is based on the information contained in the application package that you submitted for admission to the TU/e Master program and on a subsequent online survey conducted by TU/e. A one-time scholarship offer will then be made to successful candidates. The offer is non-negotiable. have not been granted a scholarship by any other scholarship organization. Students who are admitted to ANY of the TU/e Master’s programs automatically take part in the selection procedure for a ALSP scholarship. Eligible nationalities: All nationalities except the Dutch nationality. Successful candidates will be informed between February 1 and the end of May 2013. All candidates will be informed of the outcome by the end of May 2013. ALSP scholarships are awarded for a specific Master’s program starting in a specific academic year and cannot be transferred to other Master’s programs or another starting date. the scholarship conditions apply to the two years of the Master’s program AND for the subsequent three years employment in the Netherlands. continuation of the scholarship during the two years of the Master’s program depends on the academic achievements of the student. The student’s academic results will be assessed in spring 2014. ALSP scholarships are not available to Master’s students who are already enrolled at TU/e. Demikianlah informasi mengenai Amandus H Lundqvist Scholarship Program, Eindhoven University of Technology, Netherlands semoga berguna bagi anda.